We have written here (here, here, and here) and elsewhere about the photojournalistic penchant—indeed, we are inclined to call it a photojournalistic convention—to produce photographs that feature hands (and feet). Often such images feature the fragmented human body, emphasizing the hand (or the foot), and thus diverting attention away from the face. The face is, of course, the chief marker of the liberal individual and by deemphasizing it notice is directed away from the particular individual to a more universal(izing) “human feature. 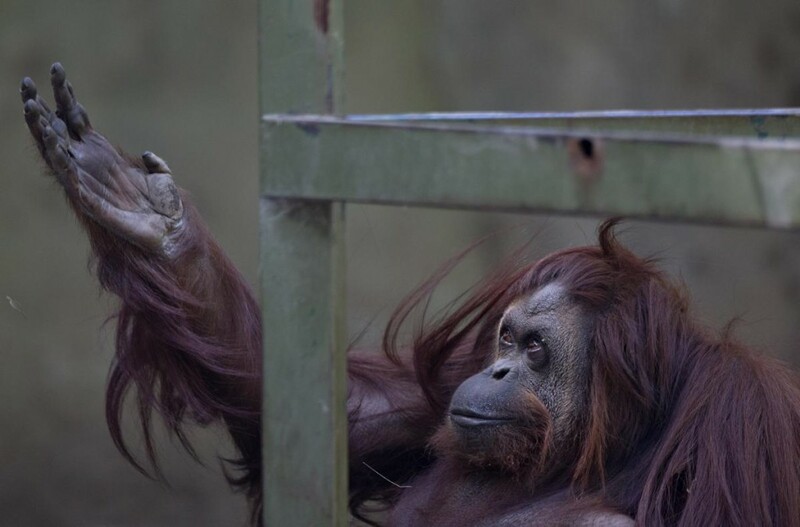 The inclusion of the face in the image above is something of an exception to the typical convention that makes the point, as the caption to this image calls attention to an Argentine Court’s ruling that “Sandra,” an orangutang who has spent 20 years in a Buenos Aires zoo, is a “non-human person which has some basic human rights.” Humanity here trumps personhood. The photograph is part of a Big Picture slide show titled “Hands in the News.” According to the BP, “Hands tell stories. They are functional and they have the power to communicate emotions…. Represent(ing) hope, communication, power, connection, and longing.” All of this is true. But there is more. For such photographs don’t just invite us to see the “hand,” but rather to see “with the hand,” and as such it activates a traditional way of thinking about sociality and politics (e.g., the body politic) that is adapted to conditions of public representation: it is fragmented rather than organic, realistic rather than idealized, and provisional rather than essentialist. Most important, the dismemberment of the body implies a body politic that is no longer whole yet still active and engaged. In short, the image of the hand (or the foot) as a bodily fragment signifies the distributed body of modern social organization, the pluralistic body of modern civil society, the multicultural body of a transnational—or as with the photograph above, transhuman—public sphere. This is the body that resists the abstraction and political symbolism dominating official discourse, but always indirectly, through figures of embodiment that are already dismembered. This is a rhetoric of bodily experience, but not the personalized experience of identity politics or the faux intimacy of infantilized citizenship. 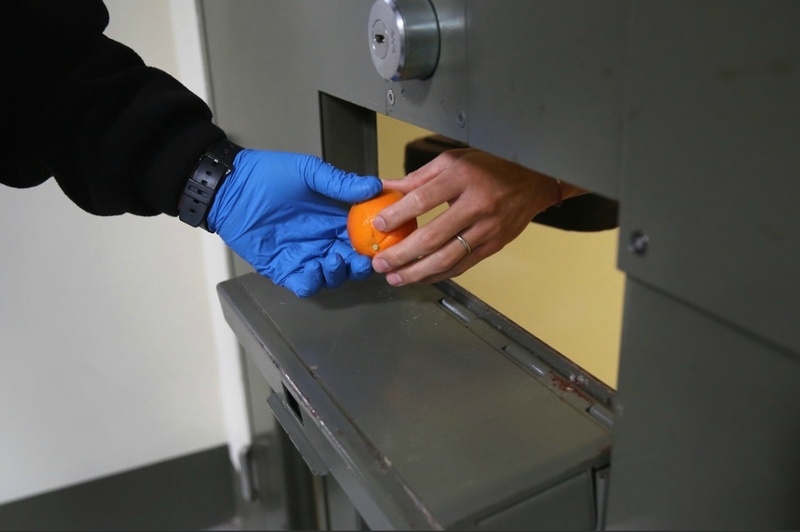 These images have proliferated when official authority is already discredited, and they are used to both contest that authority and finesse the problem of maintaining public legitimacy. We should attend to them with care, not just as a stylistic affectation or an instance of cultural kitsch, but as an important convention of a powerful public art that invites us to see and be seen as citizens in the broadest way possible. Photographs index an objective reality, and there is no getting around the painful and horrible experience of losing one’s leg in a terrorist attack. Photographs do more than mark objective realities or the most literal of truths, however, and can also activate the imagination, inviting the viewer to see the world differently or anew. Sometimes that is done by invoking a perspective by incongruity as when, for example, a photograph takes the view of a non-human animal appearing to pass judgment on its human counterparts. Or at other times it can occur when a photograph emphasizes incidental features of everyday life that turn out to be quite significant. And there are many other possibilities as well. One increasingly common visual convention relies on the trope of synecdoche, substituting the part for the whole (or visa versa), and thus inviting the viewer to imagine a scene as a matter of scale. Think, in particular, for how the face becomes the representation of a whole body, or the individual can stand in for the collective. The photograph above is a case in point, as it reduces a collective of individuals to their feet—and more, to the shoes that they are wearing. 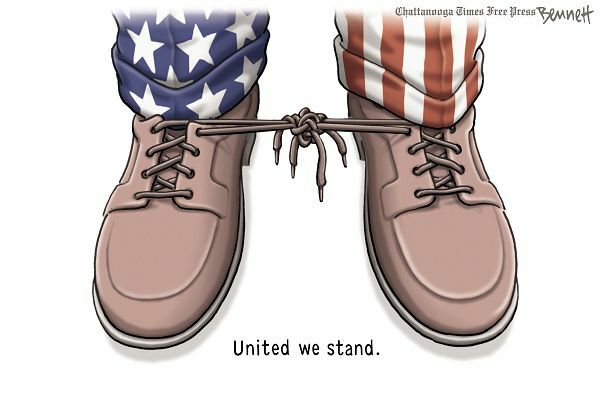 The ersatz patriotism displayed on the shoes in the foreground and worn by the most obvious of victims is pronounced, and so we cannot not ignore it, but it should also be noted that no one else seems to have coded their footwear with their politics, or at least not so explicitly and boldly. And indeed, the longer you gaze at the photograph the more it becomes clear that the shoes in the foreground call attention to themselves precisely because they are so pronouncedly performative. Appearing to stand at attention, they indicate the (undoubtedly justified) pride and motivation of the person wearing them, but it is the distinct, multi-colored shoes—all running shoes to be sure—of everyone else that define the collectively that has congregated. And note how they all appear to be moving in different directions and yet don’t seem to get in the way of one another. They are something of a community, perhaps all committed to the mantra of “Boston Strong,” but they are also not driven by an overwhelming stylistic uniformity that demands anything like a stultifying unity. What are we to make of that? If all we see here are a set of feet, there might be little to say. But if we stand back for a moment and see with the feet then we can acknowledge how the photograph activates a traditional way of thinking about politics—the body politic—as it has been adapted to the conditions of public representation: the body politic appears to be fragmented rather than totalizing, realistic rather than idealized, and provisional rather than essentialist. Put differently, in its fragmented, dismembered form we are seeing a body politic that is no longer whole yet still quite active. Perhaps this part-for-whole image of the bodily fragment signifies the distributed body of modern social organization, and in particular the pluralistic body of modern civil society. 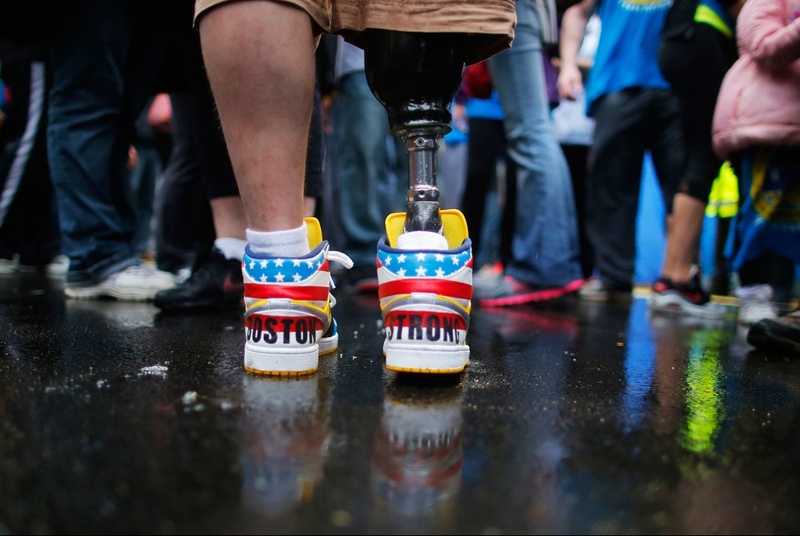 “Boston Strong” may be an effective rallying cry, but it is the rhetoric of bodily experience that here eschews facial recognition and ultimately finesses one of the primary problems of contemporary society, i.e., the problem of the inclusion of difference. Note in particular how even the affective presence of the prosthesis and its “stand at attention” pose that mimics so many photographs of wounded soldiers, is ultimately mitigated by the overall scene of the image as such difference itself is elided and ultimately accepted as one part of the community. Perhaps this is what “Boston Strong” is all about. The standard convention in photography is to focus on people’s faces, or of people looking at one another and communicating with one another. And yet even these common and standard conventions of photographic representation rely on photography’s inherent fragmentation of perception, always only showing a sluice of what there is to see. Photographs of fragmented and disembodied feet, such as the image above, are not as rare as you might think, although I doubt you will find very many of them in your family photo album; when they do appear, however, they often function imaginatively to disrupt our most common and taken for granted ways of looking at the world. And if we are willing to see with such images they just might serve to help us to reflect on how the ways in which we see and are seen as citizens are fundamentally and characteristically plagued by problems of fragmentation, separation, and the pathos of communication. And maybe, sometimes, they might even help us to imagine new and different futures, as say a world in which community is not reduced to unity. Yes, I know, the quotation from Shakespeare’s Richard III concerns horses and not water, but then there was a time when horses were scarcer than water and at least arguably more important to survival. Those days are gone. And we didn’t need the most recent report from the UN’s Intergovernmental Panel on Climate Change to make the point or to underscore its importance. Such reports have been made over and again in recent years indicating that water shortages are accelerating throughout the world as patterns of industrial and agricultural usage are increasingly polluting both ground water and the water table, and consumption is outstripping renewable sources at progressively alarming rates. Nor is the problem one that is only taking place in underdeveloped regions or nations, as those living in California or West Texas can immediately and readily attest. 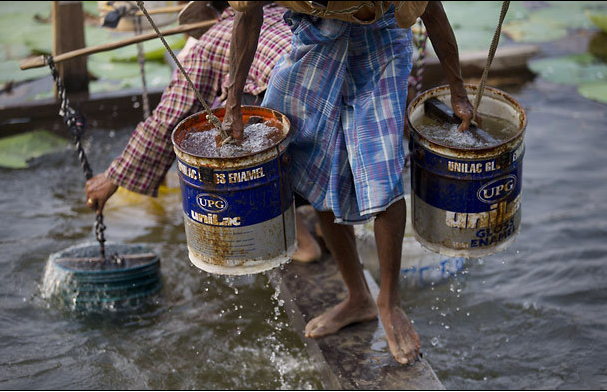 The photograph above is not from California or West Texas, but shows those living on the southern bank of the Yangon River in Myanmar using paint cans to collect drinking water during the annual dry season in which water shortages have led to the drying up of the reservoirs, forcing local elders to create rationing systems. And yet, while it is not California or West Texas it is not all that difficult to imagine how it could be in the altogether near future—or perhaps one of the other 34 states that the GAO anticipates will face water shortages in the near term. To get the point one needs to avoid focusing on the bare feet and rusted out paint cans that have been repurposed as water containers, let alone the brown skin, all of which underscore something other than a first world experience, and concentrate instead on how the photograph directs attention to the way(s) in which the need for water dominates everyday life in an otherwise visually indistinct location. There was a time when we would look at photographs of exotic locations and imagine that “their present is our past”; what we see here, however, is the way in which water is the great leveler that perhaps predicts that their present is our future. The photograph did not receive much attention in the national media. I found it in a “pictures of the day” slide show at the Seattle Times nestled between images of a moving sculpture at a music festival in California and men warming themselves at a fire near the barricades at a Ukrainian security office proximate to the Russian border. As one more sluice of life incidentally contrasting the hardships of life “there” to the fun and festivities of life “here,” it would be altogether easy to miss, or merely to glance past without paying too much attention to it. Indeed, there was a time, not so long ago, when photographs of this sort would show up in places like National Geographic where readers would be encouraged to view the “present” of indigenous people in such exotic locations as “our past,” the assumption being that one day they too can experience the progress that modernity promises; here, however, it would seem that their present is cast as “our future.” Or more to the point, it is a future that is already present without our clear recognition of it. What makes the photograph all the more poignant is not just the way in which it serves as a kind of foreboding prophecy, but more, as it functions as something of an allegory for how to imagine the very problem of water shortage itself. Note how the scene underscores the necessity of performing a careful balancing act, both socially and environmentally, to make the system of water recovery work. More to the point, note in particular not just how feet and hands strain so as to maintain equipoise on the balancing beam, but also how both participants need to coordinate with the other so as to avoid disrupting the overall ecology in which each operates. Whether or not we can actually adjust our contemporary patterns of resource usage and consumption so as to effect a sustainable world is open to question. But it will take effort and strain, and surely the appeal to “balance” that makes this system appear to work is more than worth the effort; indeed, it seems altogether necessary. The bigger point, of course, is that solutions to such problems are right before us if we are willing to see them. And photographs such as this, however subtle or otherwise hidden within the visual landscape, can serve as a powerful optic to help us do just that. Look. See. Engage. 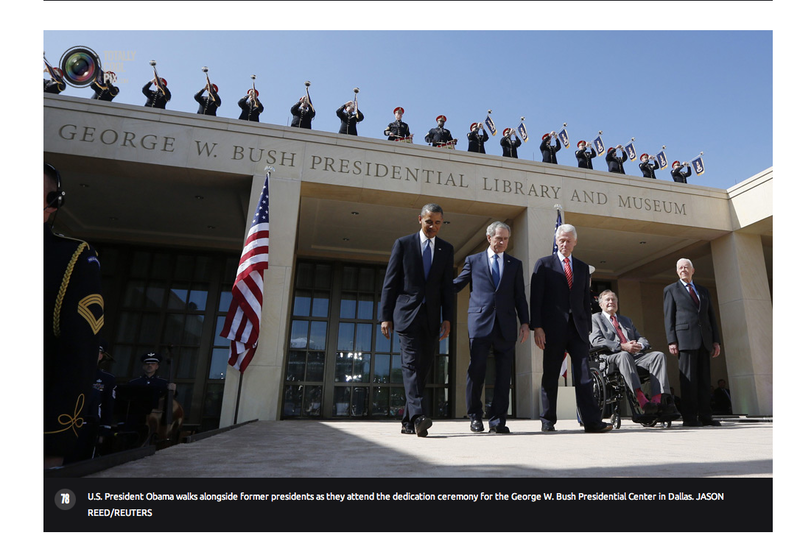 This past week marked the dedication of the George W. Bush Presidential Library and Museum at Southern Methodist University. “Oh happy day,” announced the former president. And as is the convention with such dedications, it was a grand celebration of the past president’s legacy. And for the most part photojournalists followed the script, featuring numerous images of the five living presidents collected together in fraternal solidarity, as well as snapshots of various library exhibits such as the dedication to “free people” shown above, or in photographs of Barney and Miss Beazley’s food dishes and the former president’s baseball collection. 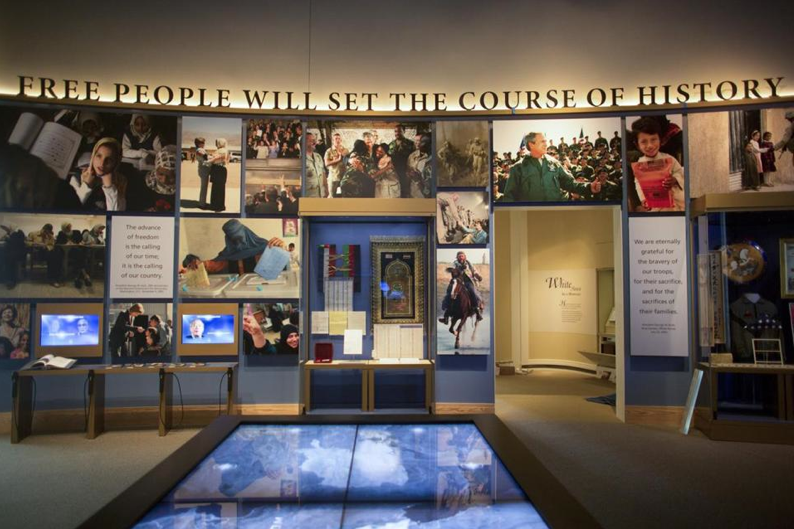 The dominant theme for the library is “What would you have done?” inviting visitors to participate with interactive displays allowing them to second guess the president’s various controversial policy decisions, from the search for weapons of mass destruction to the handling of Hurricane Katrina to addressing the debacle on Wall Street, and more. Ironically enough, such judgments were rarely if ever solicited during the president’s two administrations and when they were expressed by various publics (or “free peoples”) they were systematically ignored. But it is of course impossible to visualize something that did not occur—and in any case is not featured in the museum—and so the best that photojournalists were able to do was to call attention to the glitz and glamour. One photograph, however, broke through the veneer of praise and acclaim that dominated the day’s festivities, although it was not featured in very many places. The prosthetic leg belongs to Army 1st Lt. Melissa Stockwell (Ret. 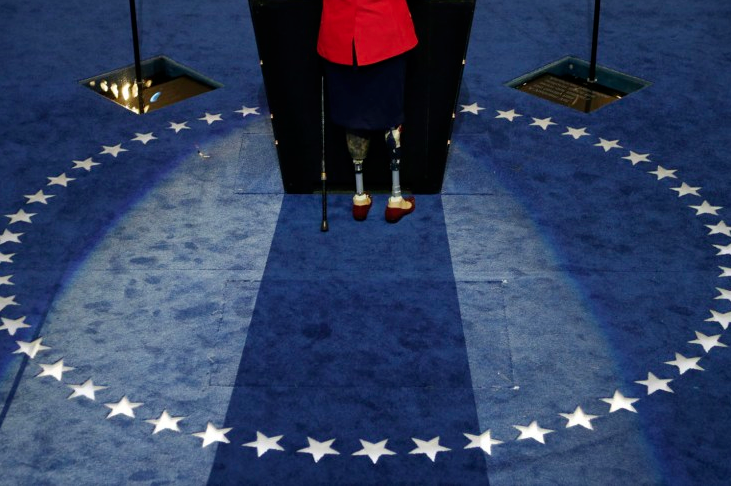 ), the first female American soldier to lose a limb during the war in Iraq. She is reciting the Pledge of Allegiance with the Bush family standing in the background. Interestingly enough, neither of the former first ladies is looking directly at Lt. Stockwell, each carefully averting their eyes, while former President George W. Bush appears to be staring at her with a befuddled and confused look on his face. 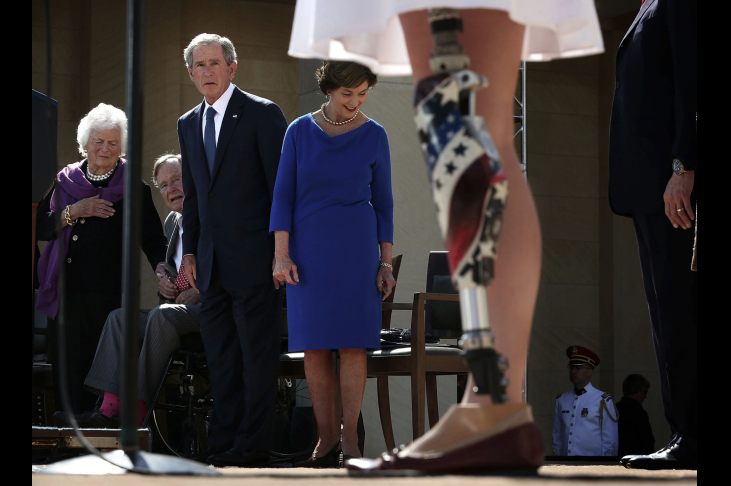 We can only imagine what he might actually be thinking, but his gaze clearly directs our attention to her star spangled, red, white and blue prosthesis, an ersatz symbol of the personal and private cost of the war in Iraq that contrasts with the shape and contour of her remaining, normal leg. After all, if a “free people” are truly to “set the course of history” they should have access to all of the facts. After Newtown: Tokenism or Culture Change? This is one photo that probably wasn’t included in the slide shows at the major papers this week. And why not, some might say, isn’t one memorial to the victims in Newtown as good as another? Well, no, not really, but the show must go on in pro sports, and so perhaps this is the best that Kevin Durant could do, all things considered. If you look closely, you can see that he has written “Newtown CT” on the shoe that he wore for the Friday night game. 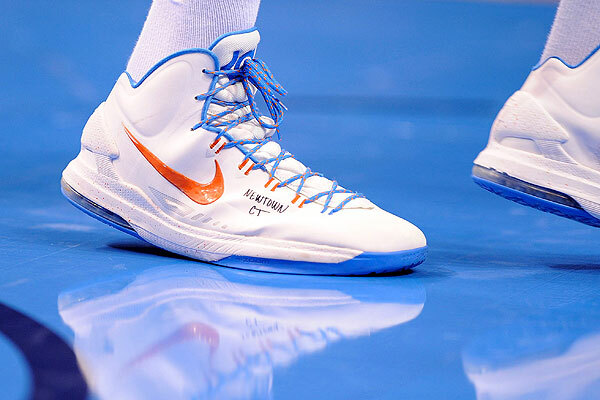 Nor was he alone: players and teams around the NBA and NFL put names on shoes and gloves, pasted decals on helmets, observed moments of silence, and otherwise had token observances across their scoreboards, end zones, and assorted other media. And the New England Patriots even went to far as to donate $25,000 for the families of the victims. Really. And if you don’t believe it, just tune in to ESPN, which is making darn sure that everyone knows just how much the sports world cares, really cares, about the tragedy. It’s hard, very hard, not to be cynical about these token gestures. Indeed, I think the photo above neatly captures just how small and temporary they are: compared to the gleaming arena floor, polished like the finest glass, and the Nike swoosh, which represents a lucrative shoe contract for a global market, the small, black lettering is sure to be discarded soon, which will hardly matter as no one without a telephoto lens could see it anyway. Ditto the tiny helmet decals, the player Tweets, and any other efforts to laminate compassion onto celebrity. But that’s too easy. Just about every candle, teddy bear, classroom letter, and prayer chain is also but a gesture. And if the better memorial would have been to cancel the game, well, how many of you refused to go to work on Friday or Monday because you thought doing so would dishonor the dead? The truth is, there is very little that anyone can do in response to such senseless slaughter, and that applies not only for distant strangers but also for close friends and family of the bereaved. And however mixed the motives might be in the business of sports, one shouldn’t be too quick to assume that nothing is sincere. (I’m told that Kevin Durant is a fine human being.) So, token gestures become part of the story of how a nation deals with social rupture. Of course, nothing said above should excuse pro sports for some of its excesses. Individual players perhaps should get a pass, but the organizations may indeed need to consider that the better response really is to do nothing–or, if they really want to help the people in their own backyard, to do it right. (Certain prominent figures on the religious right might want to take a hard look into that same mirror.) But, again, the matter at hand is about more than pro sports or any other single institution. The hope that many of us have this week–the one we hold on to against the shock and grief and dismay–is that this time the carnage might really bring the country to its senses about its culture of violence. And although the resistance will be extensive, there are signs that change could be happening already. One of the interesting things about American democracy is that it can be stalemated for so long and then seemingly transform itself in a few years. Think of what happened after Pearl Harbor, or what has happened in the past few years regarding the acceptance of homosexuality (even the word now sounds antique). The strength of the political culture is that it’s not just a political culture–that is, a subculture defined solely by a political class, although there is some of that–but instead richly intertwined with all the rest of society. Think of the importance of integrating pro sports for civil rights, not just then but continuously, and look at how so many different people and organizations respond in kind to disasters such as hurricanes, floods, earthquakes–and shootings. In those situations, what otherwise would be tokenism can become something else: a small but visible commitment to real change. Guns are not unknown among pro athletes, so hypocrisy may yet prove to be the norm there and elsewhere as well. But I hope that something else could be in the works, there and especially elsewhere. In any case, the change requires silent, personal, private resolve to think differently–and not least to move beyond the political habits that were part of the prior stalemate. Thinking differently is easier to do, however, if it can be done in small ways that can be shared with others who might want to do the same. And to be shared with other citizens, there is nothing like doing something that can be seen. So this week I’m giving token gestures of solidarity a pass, and in the hope that this time the nation can raise its game to a higher level of play. Photograph by Jerome Maron/USA Today Sports. Images of hands (and feet) have become stock images in the photojournalist’s tool kit. If you look at the slide shows that appear daily and weekly on the web you will find them to be ubiquitous. Indeed, they have become something of a gestural remediation in the movement from oral to visual representation. This should not surprise us since hand movements have long been an important part of the orator’s stock in trade. And what is especially important is that such images access and animate an important gestural economy of emotions and identifications that cross all manner of affective relations and demographic boundaries even as they accent race, gender, age, and other categories as well. What is most significant here is that they challenge the more common convention of identifying and representing actors is featuring their faces (the primary marker of liberal individualism). We typically do not identify individuals by their hands or feet alone, and the reason is palpable: hands and feet underscore human similarity even as they mark difference. And as a result, they become important sites for encouraging empathy or compassion—although these are clearly not the only emotions that such images underscore. The photograph above is interesting in this regard as it places two conventions in tension with one another, as both face and hands are present, though it is the hands that are most prominent, and not simply because they are larger and more to scale, or because they are more prominent in the photograph, but also because they are a first order representation, while the face on the bumper sticker is a second order representation (a photograph of a photograph). The hands, in this sense, are “more” real, and while they could belong to the child pictured on the bumper sticker, we can’t know that for sure. And so the photograph encourages us to consider the relationship between the two—both the hands and face and the orders of representation in which they operate. In short, the hands, which are front and center and mark a universal humanity, hold and display a sentiment that no doubt effects the child pictured, but potentially extends beyond him or her as well—one can imagine other children on display. 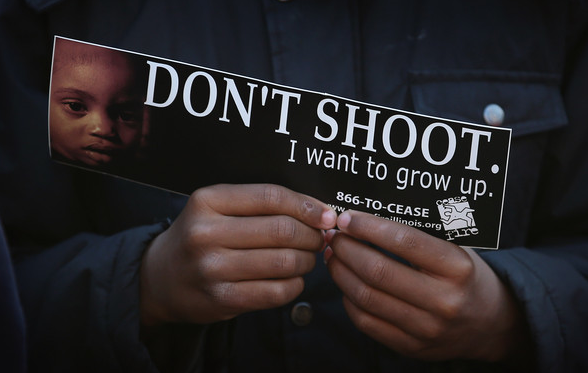 The photograph is part of a slide show that marks a peace rally on Chicago’s South Side, and so it marks a particular event, but it also stands as an invitation to consider the sense in which the random and criminal violence that cuts young lives (and others) too short is larger than any one city. But of course, there are limits here as well. And the juxtaposition of face and hands indicates that as well. To get the point, substitute the face of a white child on the bumper sticker. There is no doubt that white children are the victims of random and criminal violence in our urban centers, but on the whole that is not the core of the problem (though a problem it is, to be sure). And so even as the focus on the hands frames exigency as more or less universal—and thus invites a more generalized compassion, if not responsibility for the situation—the face in the background is a reminder that like most problems this one is localized by particular sites and circumstances. 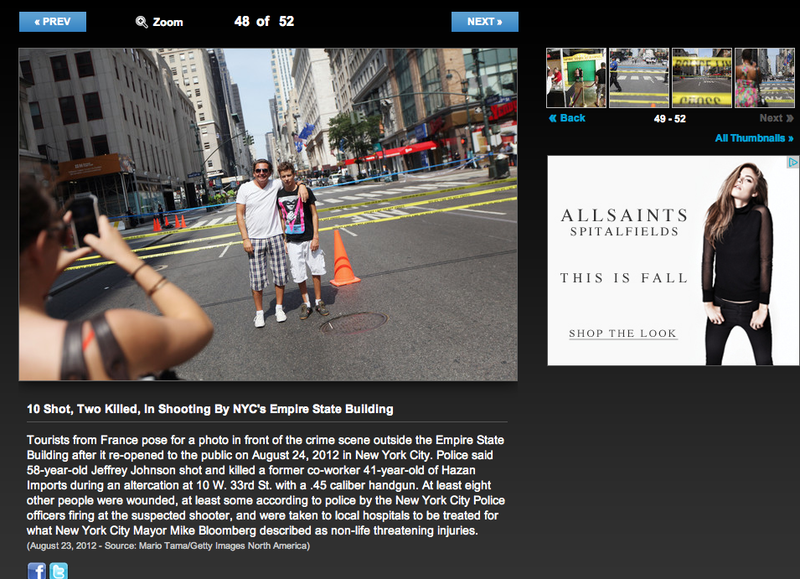 You might have heard that there was a shooting in midtown Manhattan late last week. It was in all of the papers and on the nightly news. Of course, then again, such events seem to be routine so maybe you missed it. The perpetrator got off five rounds, all aimed directly at his target; the police got off seventeen shots. Nine bystanders were hit with bullets. Do the math. The photographic record of the event ranges from the somewhat clichéd representation of yellow and blue police line tape and numbered crime scene markers shot from on high and at a distance to mark the official response to a somewhat voyeuristic image of a dead body resting in a sea of red blood to the absolutely bizarre snapshot of smiling tourists (from France, no less) posing in front of the scene where the carnage too place. But it is the photograph above that tells the story that really needs to be told. 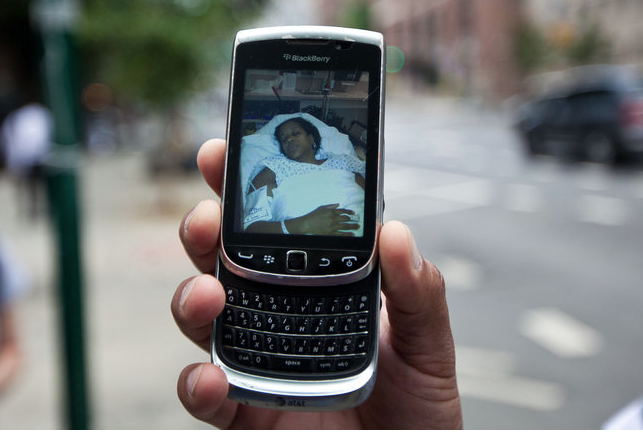 The woman, Madia Rosario, is one of the nine innocent bystanders hit by police bullets (that’s right, all nine were wounded by police bullets or ricochets). She is thankfully in stable condition, as are apparently the other eight bystanders who were wounded. But what should concern us is that she and the others were shot at all. There have already been calls to investigate whether the officers were following regulations when they discharged their weapons with bystanders at risk, but there is a different point to be made. Or maybe two. The first point is that this is just one more of a continuing—weekly if not daily—litany of such shootings, each of which is treated as if it were an entirely individual and isolated event. A disturbed individual goes berserk and shoots up a school yard or a campus or a church or a movie theater. As one of the bystanders hit by a police bullet put it, “You know, stuff happens.” But of course these are not isolated events, for what connects them quite palpably is the simple fact that in each case the perpetrators all had too easy access to automatic or semi-automatic weapons. There is no easy way to represent that connection photographically, and so we resort to commonplaces that individuate the problem by emphasizing the perverse psychology of the perpetrator and/or visualizing the official response. But of course in countries with more restrictive access to such weaponry events like this happen far less frequently. On this point the facts are incontrovertible. Once again, do the math. The second point is really a response to those who claim that everyone will be safer when we all have guns and can thus protect ourselves from such violence and bloodshed. But the photograph of Madia Rosario suggests perhaps otherwise. The police are enjoined never to “put civilians in the line of fire.” And more, they are trained in how to respond to crisis situations in which chaos reigns and human behavior is animated more by fear and the rush of adrenalin than reason or common sense. And on par they do a pretty decent job. And yet for all their training and preparation, “stuff happens.” One can only imagine what stuff would happen if bystanders not trained in crisis management of any sort were carrying weapons and started shooting. Just do the math.